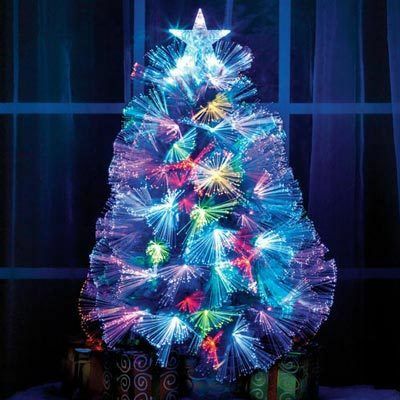 Give your home a cozy holiday glow with this white Tabletop Fiber Optic Christmas Tree. Color changing star on top completes the look as it sits in a silver-tone woven basket. UL listed. Approx. 24"h.